We are often asked questions about C60, C60 products and the research findings around C60. 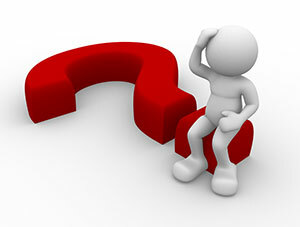 We find we get asked many of the same general questions or hear people make comments which are not quite right. This is a new field and things are changing pretty fast. A lot of new people are hearing about C60 and its potential benefits for the first time. With that in mind we decided to create a section where we can post answers some of the common questions and so potentially help people find their way around this exciting new field of science. We will gradually be posting new questions and answers but in the meantime perhaps you have a question you would like dealt with. We are happy to deal with your questions, we do not always have the answer (perhaps no-one does) but if your question might one other people have then perhaps your question could end up getting posted here. So ask away through the contact page on the site. Peter from Chichester, United Kingdom asks: "I have seen different doses of C60 recommended. I am still not sure how much to take." Read more: What dose of C60 should I take? Eric from London asks: "I’m a CrossFitter and want to know what will C60 do for my performance?" Read more: What could C60 do for my performance in CrossFit? Mavis from Birmingham, UK asks: "What does the C60 in olive oil taste of? Could I take it with something else if I don't like the taste and might that stop it working? Read more: What does C60 taste like? Marc from Adelaide, South Australia asks: "Why do you take your C60 with kefir? Does it matter what sort of kefir as I am a bit dodgy with cow's milk? Read more: Why might you take your C60 with kefir? Roy from Australia asks: "If I got 3 bottles of C60 in olive oil how much is that and how long would I expect it to last?" Read more: How long does a bottle of C60 last?